Hi there.....I am back with another day of our July JustRite Papercrafts Release and today we are sharing projects with Fall in mind. 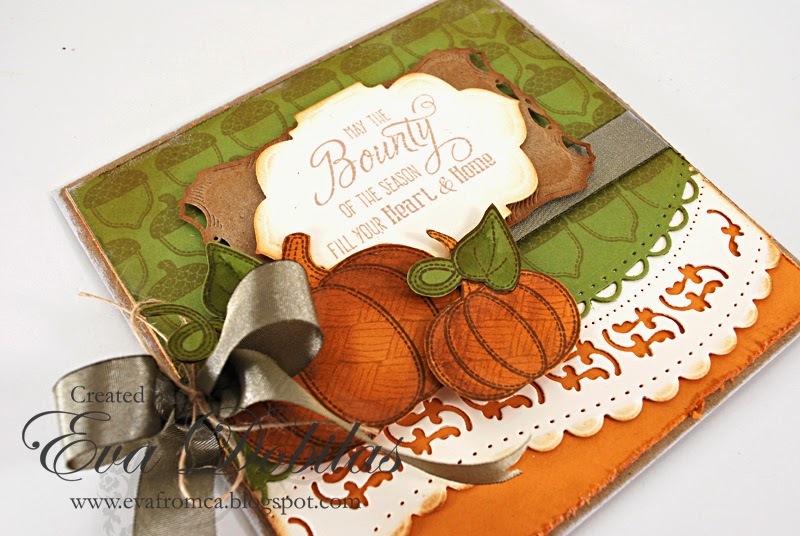 My card was created with our newest stamp set called Fall Applique and a new background stamp called Basket Weave. I had a lot of fun creating this card. I used the acorns to create my background with. 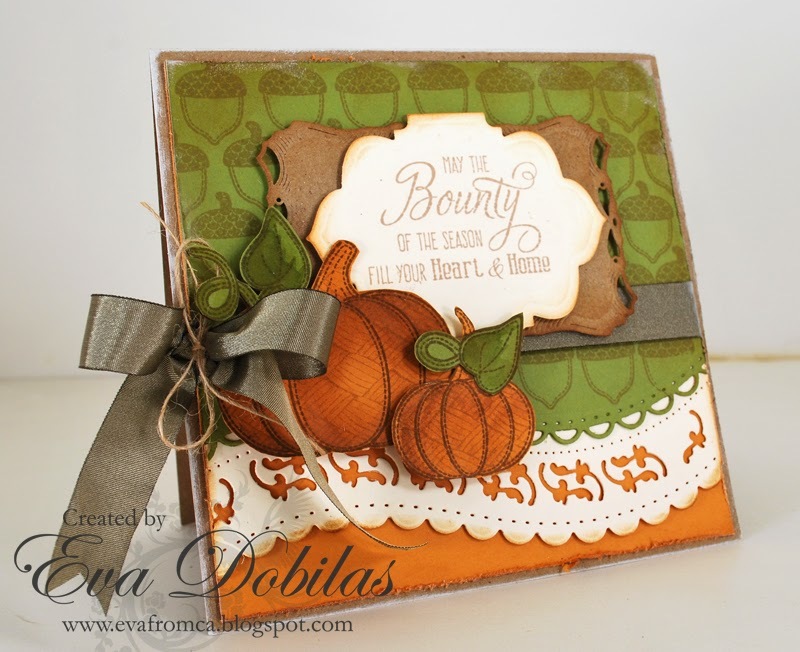 Than I die cut my pumpkins using the SVG cutting files and stamped my pumpkins on it and also stamped the Basket Weave Background Stamp on top of my pumpkins. I stamped my sentiment onto cream card stock and die cut it with Vintage Labels Eight dies. I also used Spellbinders A2 Curved Borders One Dies and Spellbinders Noble Rectangle. Here is the Basket Weave Background Stamp. Well, hope you enjoyed seeing this card of mine and now it's time hop over to my design team mates blogs to see what gorgeousness the created. Thanks for visiting and have a beautiful day!